When old man winter blows in across the fields and Jack Frost turns the landscape into an artists’ canvas. It is also time for snow and that means snowplows will be winding through town up and down every street. I would like to point out a few things that might make your (and our) winter a little more enjoyable. Current road conditions are constantly monitored by the Street Department during normal work hours and the Police Department will contact us if conditions worsen after hours. Many factors are taken into consideration when determining how to handle each situation (whether to plow, salt, etc.). Some of these factors are time, temperature, amount of snow, ice, blowing snow and immediate forecasts. The town roads have been split into 3 groups, Primary, Secondary and Low Traffic. Primary roads have the most traffic and/or are a main access to and from town. The Primary roads are: Madison St., Garden St., Fortville Pike, Staat St., Merrill St. and E. Ohio St. Keeping these roads open is our first priority. Secondary roads are all other 2 lane through streets. And Low Traffic includes alleys, dead ends, cul-de-sacs and one-way streets. We plow from curb to curb. This helps us avoid buildup in the event of multiple storms. In order to do this, we ask that all vehicles be moved off of the street. This also will diminish the odds of your vehicle being involved in accidents or being plowed in. Children love to play in the snow. Please be sure that they stay away from the road when they do. Building “forts” and “igloos” near the edge of the road can make it impossible to spot a child in time to make adjustments. To avoid having to shovel drives and walks more than necessary it is a good idea to wait until we are done plowing your street. Turning the plow to keep snow from dumping on a drive seems simple to do. It is important to understand that if we do this for every drive in town it will increase the time it takes to plow substantially. And wear on equipment would be very costly. One last point, though an important one, as you clean the snow off of your walks and drives please do not throw it out into the road. It creates a hazard for passing motorists. And after plowing all night, watching someone throw snow back on to what you have tried so hard to keep clean is more than a little disheartening. 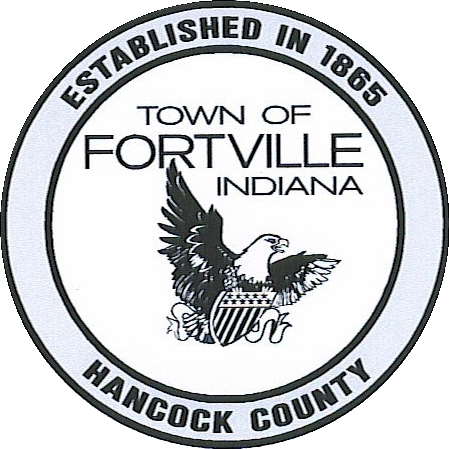 Your street department works long and diligently before, during and after these snowstorms to ensure that Fortville roads are passable. We are dedicated to making this town even better. Any assistance towards meeting this goal will be greatly appreciated.